Prosur has been calculating its CO2 emissions or Carbon Footprint since 2012, and one more year continuous with its commitment to the environment and contributing its bit in the fight against climate change. 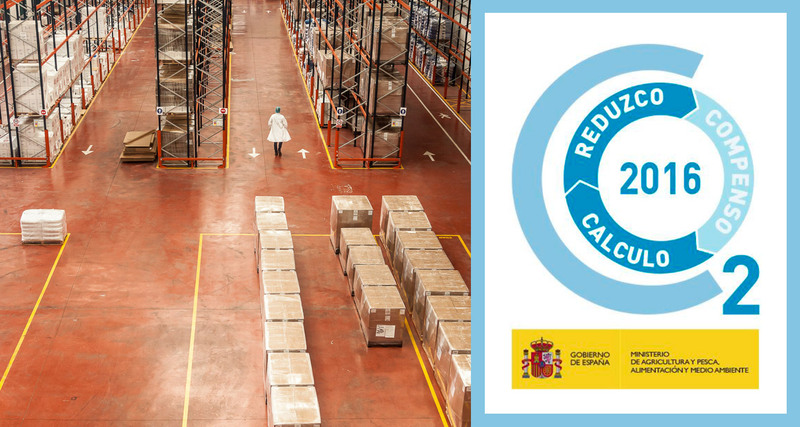 As a reward for this commitment, we have been awarded the seal that shows that we have calculated our carbon footprint by the year 2016 and have complied with previously established emissions reduction commitments. Calculations and emission reductions have been validated by MAGRAMA. The stamp of Carbon Footprint is born with a double purpose. On the one hand, it facilitates organizations to demonstrate their participation in the registry and, on the other hand, allows to reflect the degree of effort undertaken by them in the fight against climate change. In this sense, it distinguishes between organizations that calculate their carbon footprint and are on the path of reducing their emissions, those that already reduce and / or compensate. The stamp, therefore, allows to identify, for an annual period, three levels of participation: calculation of the carbon footprint, its reduction and / or compensation. Prosur aims to continue reducing its carbon footprint. And for that, it is studying a series of measures that will reduce CO2 emissions, such as the installation of solar panels or the optimization of logistics processes.